Tysons isn’t just a major transportation junction, it’s also the convergence of several state legislative districts. As the 2019 legislative session nears its beginning on Jan. 9, several local state senators and delegates are bringing a variety of bills to Richmond. In the state Senate, the Tysons area is represented by Sens. Barbara Favola (D-31st District), Janet Howell (D-32nd District), and Chap Petersen (D-34th District). Favola is championing a bill that would prohibit prospective employers from requiring employees disclose their wage or salary history, or attempting to obtain wage and salary histories. Howell is backing a bill that would allow evidence of a prior statement that is inconsistent with testimony at the hearing or trial to be admissible. The bill was proposed late last year and is awaiting a vote in the Courts of Justice Committee. Another one of Howell’s bills would require assisted living facilities with six or more residents to have a temporary emergency electrical power source available on site. 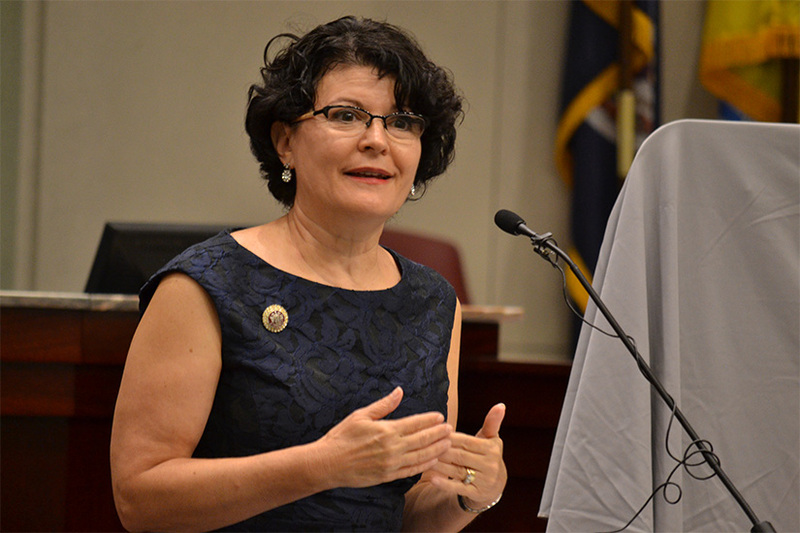 Favola and Howell are both putting forward bills would allow localities to determine the opening day of school, a region-wide push to get around the “King’s Dominion Rule.” A similar bill was passed in the House last year but was left in the Senate’s Education and Health Committee. Fairfax and Loudoun counties already have waivers to start before Labor Day, but the new bill would grant a similar exception for Arlington. Petersen has a bill that would charge a five-cent per bag tax on plastic bags for localities inside the Chesapeake Bay Watershed, to be used to support the Chesapeake Bay Watershed Implementation Plan. Another bill would require the governing board of each public institution of higher education to permit public comment on the proposed increase at a meeting of that board. Meanwhile, in the House of Delegates, Del. Mark Keam (D-35th District) is continuing to lead a push on two changes to the Virginia governorship. The first is a bill to make the governor and lieutenant governor a joint election. The bill was introduced in October 2018 and referred to the Committee on Privileges and Elections. The second would remove Virginia’s stipulation that governors cannot run for reelection, allowing governors to run for two four-year terms. This had previously been proposed by Del. Mark Levine (D-45th District) but failed in earlier years. Sullivan has twice seen similar legislation left to die in committees: one bill failed in 2018, another in 2017. Del. Marcus B. Simon (D-53rd District) has a bill that would make the manufacture, import, sale, transfer, or possession of undetectable firearms a class five felony. These are weapons designed to avoid detection devices, including X-ray machines, used at airports and other types of security screening. A similar bill is proposed by Howell, who previously succeeded in establishing a misdemeanor penalty for the practice in 2016, but failed two years ago. Del. Kathleen Murphy (D-34th District) is not listed as a chief patron of any 2019 legislation yet but has signed on as a co-patron for a bill trying to ratify the Equal Rights Amendment.